Despite [Because of? – LG] tough anti-drug laws, a new survey shows the U.S. has the highest level of illegal drug use in the world. Marijuana use was more widely reported worldwide, and the U.S. also had the highest rate of use at 42.4% compared with 41.9% of New Zealanders. 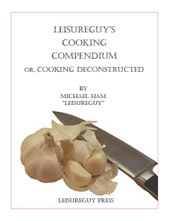 The list is, however, familiar to those who have read Leisureguy’s Cooking Compendium—only that lists additional foods omitted from the list at the first link. 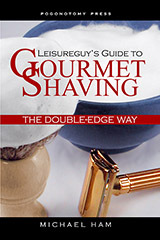 The Compendium includes many clickable links that provide additional information—and the detailed Table of Contents is also hyperlinked to the text. A bargain, if I say so myself. The first movie in which I saw parkour and recognized it as the sport was District B13 (Banlieue 13), produced by Luc Besson, a gratifyingly entertaining film. The next was the first Daniel Craig James Bond film, Casino Royale. Here’s a nice selection of video snippets from various movies. I expect we’ll be seeing a lot more in American films. Just planted my first crop of shiso. Takes me a while to get around to things. But it’s good to start growing my own food. A US House of Representatives Resolution effectively requiring a naval blockade on Iran seems fast tracked for passage, gaining co-sponsors at a remarkable speed, but experts say the measures called for in the resolutions amount to an act of war. Analysts say that this would require a US naval blockade in the Strait of Hormuz. Since its introduction three weeks ago, the resolution has attracted 146 cosponsors. Forty-three members added their names to the bill in the past two days. In the Senate, a sister resolution S.RES 580 has gained co-sponsors with similar speed. The Senate measure was introduced by Indiana Democrat Evan Bayh on June 2. In little more than a week’s time, it has accrued 19 co-sponsors. Congressional insiders credit America’s powerful pro-Israel lobby for the rapid endorsement of the bills. The American Israel Public Affairs Committee (AIPAC) held its annual policy conference June 2-4, in which it sent thousands of members to Capitol Hill to push for tougher measures against Iran. On its website, AIPAC endorses the resolutions as a way to ”Stop Irans Nuclear Proliferation” and tells readers to lobby Congress to pass the bill. AIPAC has been ramping up the rhetoric against Iran over the last 3 years delivering 9 issue memos to Congress in 2006, 17 in 2007 and in the first five months of 2008 has delivered no less than 11 issue memos to the Congress and Senate predominantly warning of Irans nuclear weapons involvement and support for terrorism. The Resolutions put forward in the House and the Senate bear a resounding similarity to AIPAC analysis and Issue Memos in both its analysis and proposals even down to its individual components. Proponents say the resolutions advocate constructive steps toward reducing the threat posed by Iran. “It is my hope that…this Congress will urge this and future administrations to lead the world in economically isolating Iran in real and substantial ways,” said Congressman Mike Pence(R-IN), who is the original cosponsor of the House resolution along with Gary Ackerman (D-NY), Chairman of the sub committee on Middle East and South Asia of the Foreign Affairs Committee. Foreign policy analysts worry that such unilateral sanctions make it harder for the US to win the cooperation of the international community on a more effective multilateral effort. In his online blog, Senior Fellow in the Middle East Program at the Center for Strategic and International Studies Ethan Chorin points out that some US allies seek the economic ties to Iran that these resolutions ban. “The Swiss have recently signed an MOU with Iran on gas imports; the Omanis are close to a firm deal (also) on gas imports from Iran; a limited-services joint Iranian-European bank just opened a branch on Kish Island,” he writes. This is a story that starts in triumph, takes a detour through farce, and inadvertently ends raising some profound questions. The triumph is one of scientific progress in the study of evolution; the farce comes courtesy of those who run Conservapedia, who apparently can’t believe that any scientific evidence can possibly support evolution. The questions, however, focus on what access the US public should have to the research that their tax dollars support. Ars covered the research earlier this month, when a paper reporting it was first published in the Proceedings of the National Academies of Science. Richard Lenski and his colleagues have been conducting a long-term experiment in bacterial evolution, one that has encompassed over 30,000 generations of bacteria going back over 20 years. Many of the bacteria have evolved the ability to better utilize the sugar available in their cultures, but one strain underwent at least three distinct changes (at generation 27,000, 31,000 and 33,000) that enabled them to access citrate present in the medium—something their parents were incapable of. Lenski saved samples of every culture at intervals of 500 generations, and his paper suggested his lab was going back and sequencing the genomes of the intermediaries to try to find out the genetic basis for the evolution of this new trait. Continue reading. I wonder how much overlap one finds in considering evolution deniers and climate-change deniers.